While the modern science of medicine often seems nothing short of miraculous, religion still plays an important role in the past and present of many hospitals. When three-quarters of Americans believe that God can cure people who have been given little or no chance of survival by their doctors, how do today’s technologically sophisticated health care organizations address spirituality and faith? Through a combination of interviews with nurses, doctors, and chaplains across the United States and close observation of their daily routines, Wendy Cadge takes readers inside major academic medical institutions to explore how today’s doctors and hospitals address prayer and other forms of religion and spirituality. From chapels to intensive care units to the morgue, hospital caregivers speak directly in these pages about how religion is part of their daily work in visible and invisible ways. 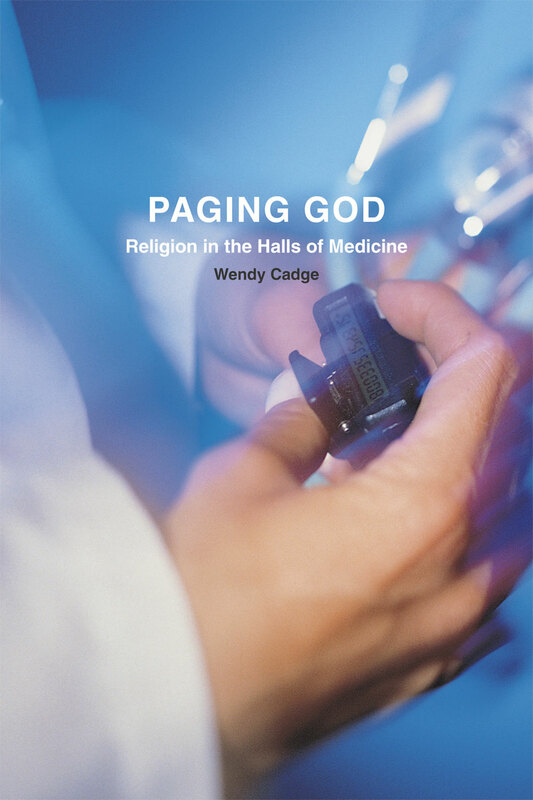 In Paging God: Religion in the Halls of Medicine, Cadge shifts attention away from the ongoing controversy about whether faith and spirituality should play a role in health care and back to the many ways that these powerful forces already function in healthcare today. "From the opening narrative about a Buddhist monk near death to the concluding story about a parent seeking prayer, Paging God is rich with insights about the challenges facing health practitioners as America becomes more religiously and ethnically diverse. This is ethnographic research at its best. Wendy Cadge has written an impressive study that should be read by everyone interested in understanding how religious diversity is reshaping our society." "Paging God is essential reading for those interested in the ever-shifting place of spirituality in American healthcare and society. Weaving interviews from patients, staff, doctors and chaplains into a fascinating story of the power of religion and spirituality in the lives of those struggling with illness and death, Wendy Cadge’s study excels in scientific objectivity—but with sensitivity to the nuanced role of religion in the lives of people involved in the hospital experience." "We tend to see the hospital as a temple to the gods of technology, professionalism, and bureaucracy. Paging God looks at the human and emotional texture of lives lived—and lost—in the hospital. Focusing on the role of religion and a more amorphous ’spirituality’ Wendy Cadge focuses on the spaces—chapel, Neonatal Intensive Care Unit and Medical Intensive Care Unit—and careers—especially the hospital chaplain—where values and individual pain are configured. In the role of the hospital chaplain she has found a particularly revealing case study in the development of a not-quite semi-profession, illuminating that borderland between the individuality of human pain and the power of technical capacity. This book should be of interest to anyone interested in the felt reality of health care in the twenty-first century." "In this remarkable book, Wendy Cadge recounts the curious history of hospital chaplaincy care. With a tenor of measured appreciation, she marks out the unmistakable good that chaplains do by being fully present to those who are sick, providing a candid, detailed, and scientifically informed assessment of the state of chaplaincy today. In this comprehensive and entirely unprecedented report, Cadge shines light on the history and current shape of hospital chaplaincy in the United States. At the same time she holds up a mirror in which the field of chaplaincy can take a long look and ask whether it has become something other than what it set out to be." "This book will interest students of medicine, nursing, and theology for its grounded analysis rooted in real-world contexts. Recommended." "Cadge’s focus on hospital administration and personnel provides a rich account of religion and spirituality in American hospitals that should not be missed by scholars of religion or medicine."